Once, many eons ago, when tweets and clouds were still part of nature, when “kindle” meant to build a fire and men knew not of their brethren’s minute-by-minute status, there was the Egg McMuffin. The prototypical breakfast sandwich, the one that started it all. In reality, there have probably been breakfast sandwiches for as long as there has been two slices of bread and an egg to put between them. Breakfast is often the least respected meal. Indeed, as I’ll sometimes only eat two meals a day, it is breakfast that suffers. I’ll grab a few nuts or eat some blueberries as I look forward to lunch and dinner. But on many a weekend, it will be lunch that is omitted from the day’s schedule as I prepare a sumptuous breakfast. And most of the time, it will be some sort of creative breakfast sandwich on the menu. I like the breakfast sandwich because it’s handy, easy to eat and there are infinite ways you can go with it. 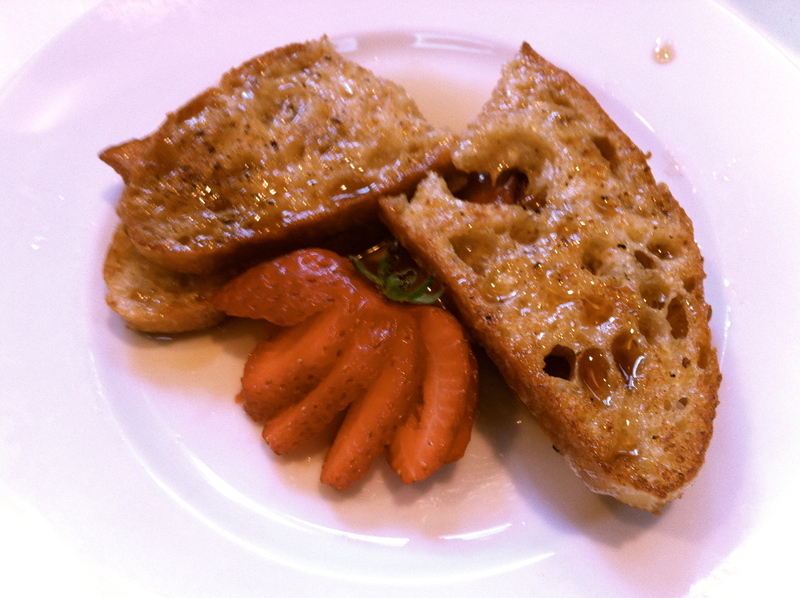 Toast up whatever bread you’ve got on hand — bagels, baguette, wheat or Wonder. Crisp up some rye and top it with corned beef hash and an egg. Make some fresh buttermilk biscuits and fill with a savory sausage patty. Try something exotic — a Mexican breakfast torta with beans and salsa on a bun, for example, or perhaps a Vietnamese breakfast bánh mì. Or go all upscale and toast a croissant, splay open and fill with a poached egg, some proscuitto, a few cornichons, a drizzle of béchamel and some fleur de sel. In other words, the possibilities are as limitless as your imagination. On two consecutive mornings of a holiday weekend, I made two very different breakfast sandwiches — based on what I had in my kitchen. The first day, wanting to use up some delicious Columbia River smoked salmon I’d brought back from Washington, I took that old deli favorite, bagels and lox, as inspiration and made fancy open-face salmon-and-egg sandwiches with cream cheese, tomato and onion. The following day, in a porkier mood, I cooked up some tasty applewood-smoked bacon and made fancy French toast, and voila! A second new breakfast sandwich was born in as many days! Here are those two, and a third — three different, easy breakfast sandwiches to brighten up a weekend morning. And of course, they are infinitely customizable to your own particular tastes. This is your call to get creative and rescue breakfast from the doldrums! Enjoy! Mix together the salmon, cream cheese and lemon zest until thoroughly blended but still chunky. Toast your ciabatta slices until golden brown. Place each on a plate, and spread with salmon cream cheese. Top with sliced onions and tomatoes. Cook 4 eggs over medium. Place an egg on top of each toast, and sprinkle with sea salt and pepper to taste. Serve immediately. Because this recipe has so few ingredients, the quality of the ingredient will determine how good the sandwich is. For best results, use your favorite crusty ciabatta-style bread, good bacon, farm-fresh eggs and whole organic milk. And, of course, real maple syrup. In a large skillet, cook the bacon until crisp. Remove and drain on paper towels, leaving the bacon fat in the pan for later. In a large, flat bottom bowl, beat together the eggs and milk. Dredge the bread slices in the egg milk mixture, handling carefully so as not to break the bread apart. Once all slices have been dredged, leave in bowl to soak. With a paper towel, wipe out all the bacon fat except for about 2 tablespoons (i.e. a thin layer across all the bottom of the pan). Heat the pan over medium, and grill the French toast slices on both sides, four or five at a time, until golden. Remove and keep warm in a 160-degree oven. When all slices have been cooked, compose your sandwiches: Place a slice of French toast on each of four plates. Top with two slices of bacon. Place a second slice of French toast on top. Drizzle with maple syrup, slice in half, and serve. Toast the English muffins, and spread each with a teaspoon or so butter. Cook your sausage patties according to the instructions on the package, flattening out with a spatula as they cook (assuming they’re raw to begin with). Remove and keep warm in a 160-degree oven. In the same pan, cook the eggs over-medium in the sausage pan drippings. Flip the eggs midway through, and top each with a slice of cheese for the final minute of cooking. Compose your sandwiches: Place the bottom of one English muffin on each of four plates. Top each with a sausage patty, and then with an egg. Place the second half of the English muffin on top, and serve. Previous Random Thoughts for a Tuesday Next Is it Poetry or Is it SPAM? So sweet! Next time I am in LA I want to come to your house for breakfast! Looks like some great breakfasts for the north woods in the Adirondacks. we have company coming soon…..I’ll give it a try. thanks!! You’re giving me north woods Adirondack envy, Chuck. Hope you had a nice visit w/ the kids, and hope to see you guys soon! we had a great visit Hope we can convince you guys to come out here sometime. although we’d be embarrassed to cook for you!! good for hm. I’ll send some pics to entice you. we are off to Canada in a couple minutes. so, take care. 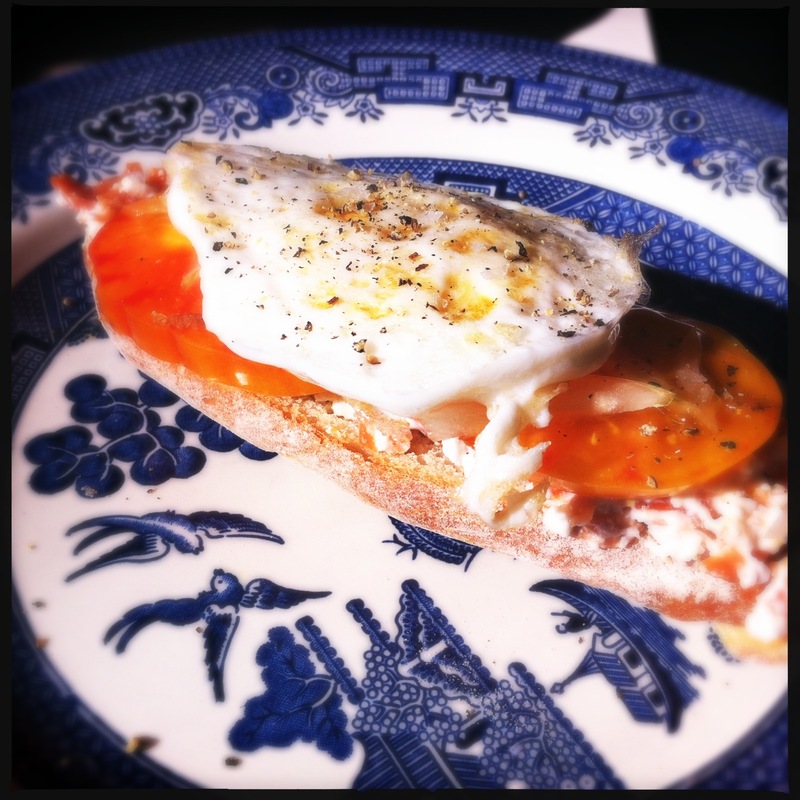 Mm, I can get into that smoked salmon and egg sandwich… It’s almost like a no-frills Norwegian Eggs Benedict! Totally! Add dill for some additional Norwegian mojo.